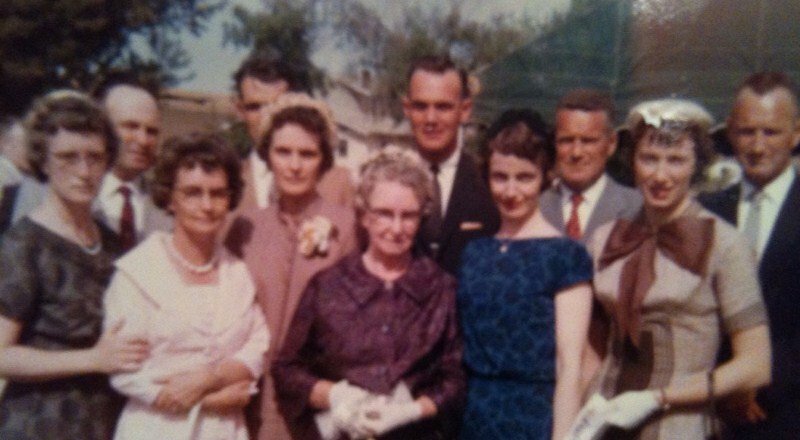 Generational family photos and their similarities and contrasts are so interesting. My big sissy, Judie, twinsie Beckie, and I are all smilers. Camera is shooting, we’re supposed to say cheese and smile. Fritz behind Beckie’s head is a smiler, too, but like Uncle Elwon, simply didn’t make the cut in this photo. Sibs Scott and Mary Jo, stoic faces, but normally amazing smilers. I wonder what this says about where the photos are taken. At first glance I find it funny the similarities of the two photos, including the one obstructed brother in each. Then, I wonder if my mother was so heartbroken that she could not smile. My Aunt Lee Lee often had a calm face, but when she smiled a world of love flowed from her face and encompassed everyone within viewing distance. Everyone in these photos believes/believed that we will see our loved one again in Heaven. But, I feel that no matter what each of our aunts and uncles, or my siblings and myself where thinking, these are pretty accurate photos depicting sorrow. On the same day, at the same hour, at the same moment, each child in both photos lost a parent. But, not a single one would go on to mourn their loss the same way. When someone says, “I still cry 10 years later, what’s wrong with me?” I say, “Why would you think something is wrong? This is how long it’s taking you to process your loss, it’s right for you, it’s the only way you can sorrow for this person.” It doesn’t mean, as this photo may depict that one mourned more than the other, or loved that person more, or even less with their smiles. The river of sorrow runs deep in everyone, and there can be no way to know how sorrow will affect you until you experience it. And experience it with different losses. It amazes me when I hear people complain about another’s sorrowing. Truly, I can’t count the weeks I cried every morning when I woke and it dawned on me that my mother was gone. I felt like I was a kite that had been held by a loving hand, and had been let go to float on its own. I liken this to my mother’s prayers for her children, and how tangible they are in our lives, keeping us grounded and feeling safe, now gone from the earth forever. 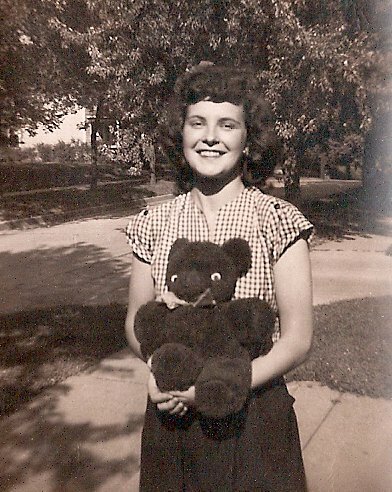 In many ways our mother had been gone from us for a couple years, memories and faces and places stuck in a sticky web of dementia. But, we still had glimpses of the old her on the phone, I think our mourning began before she died, but the suddenness of her death, that was tough to take. No sweet whispers of “I’ll meet you in heaven… Don’t worry mom, we love you, we’ll see you again…” No time for this as every phone call was filled up with her seeking answers of questions that the web of dementia held tight, wrapping it like a black hairy spider would a fly. There’s something soothing to be able to have the time to say good-bye. Lying next to our loved one. Rubbing their backs, giving them sips of water, sitting next to them until God came to take them away. I’ve experienced both, and I just feel that jarring suddenness of mom’s passing was so much harder to take. But, I should say, that’s my take on sorrow, and not anyone else’s. To assume that a long goodbye is easier than a sudden goodbye would be to assert my sorrow type with another. It’s impossible. This is how I envision her in heaven, beautiful, carefree, hair blowing, smile across her face, and she’s waiting for all of us to join her in our time. Till we meet again. < Around the world I go, me, Id, Ego and Integrity, trying to make sure to leave Regret at home. So very loving, Bon! Love Is forever! Such a beautiful ending to this blog–the beautiful picture of your mother. I love these pictures of our mothers in their youth. I have several around this house: two 8x10s in her late teens, one taken in a photo booth where she looks so much like my sister, one of her in a dress and hat sitting on a hill and you just know it was taken by the one she loved and who loved her, and another dressed up as Columbia, the gem of the ocean for her first grade school picnic. Those pictures are so precious to me because they all speak to me of love somehow. I miss my mother, but I was blessed to be with her when she died, as I prayed for many years that I would. God is so good. And I, too, have always said that each person grieves in their own way. Thanks for this lovely tear-jerker. Again!